I think it's worth noting that despite being so old, some of the ancient coins (mentioned in the link below) had to be sold off as regular copper as they were deemed not valuable by archaeologists. It's that time of the year again where we start (window) shopping for presents and home decoration. At Naik Antiques and Oriental Gifts, we have something for everyone...be it a collectible, gift or souvenir. So, please feel free to drop by and take advantage of our year end sales! Please visit www.emperorsantique.com to view the rest of our other items. For further inquiries, please do not hesitate to contact me at +6018 3867939. As prices have gone higher and supply is reducing, many collectors are attracted by something that is good but damaged. Ten years ago they would not sell. Now buyers do not have a choice. Kate Hunt of Christie’s has certainly observed this at the top end of the market at a moment when perfect ‘mark and period’ ceramics are no longer a financially viable option for most buyers. Perhaps more than for any other field, location of sale remains vital for buying and selling Chinese art – despite globalisation and the rise of online. The Asian art market has settled into a “well-defined pattern”, says Colin Sheaf, Bonhams’ global head of Asian art, “around the three major world centres of New York, London and Hong Kong – with different categories selling well in each city”. Export ware sells best in its original destination markets of the US East Coast and Western Europe, archaic bronzes too as they remain outside the ‘Chinese taste’ and “sell better in New York and London than anywhere else”. Meanwhile, the best imperial ceramics and white jade are sold in Hong Kong, such as a pair of imperial Qianlong pale green jade wine jue vessels, pictured above, sold for HK$11.1m (£1.1m) (including buyer’s premium) at Bonhams’ Fine Chinese Ceramics and Works of Art in May. Bonhams’ sale last month of the Presencer Collection of Buddhist Art took place in Hong Kong, “now one of the two most important places, alongside New York, for selling Tibetan and Himalayan art”. Chinese ‘classic age’ ceramics – in financial terms the poor relation of Qing magnificence – are enjoying an upturn in demand, one that has followed both the appearance of some fine early material on the market and a number of museum exhibitions on the subject in the Far East. “A strong trend that we have seen in our sales has been the enduring popularity of ceramics from the Song dynasty (960-1279),” says Robin Fisher at Mallams. This market continues to offer value. Top-end Song has seen a shift in prices evidenced by Christie’s four-part sale of the Linyushanren collection and this has begun to filter through to mid-range material. However, plenty of well-provenanced Song dynasty ceramics are still available. Qingbai ceramics with their distinctive bluish-white glaze can be bought in the £1000-3000 range. A variety of Song ceramics are included in Mallams’ October 31 Chinese and Japanese art sale. Many are part of a private local collection formed by the vendor’s father while working in the diplomatic service in Hong Kong from 1950-80. Chinese paintings have traditionally been the preserve of the selling centres of Hong Kong, New York and particularly mainland China where paintings made up close to half of all Chinese art sales in 2017. 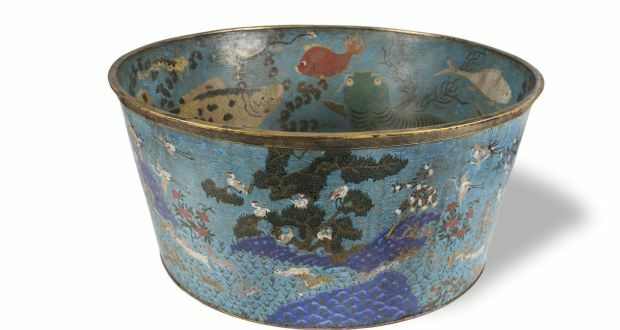 But Lazarus Halstead, head of Asian art at Chiswick Auctions in west London, believes collectors and dealers are increasingly looking further afield for their quarry. Chinese paintings are still to be found in English collections – entering these shores since the 19th century by the way of Western missionaries, diplomats and Chinese and Hong Kong immigrants. “The prices achieved in London are now closing in on those of Hong Kong,” he says. Halstead is not alone in suggesting some works, particularly those directly attributable to an individual artist, may be undervalued. London dealer Roger Keverne says a selective market has created opportunities for the buyer who is not necessarily focused on the collecting zeitgeist. 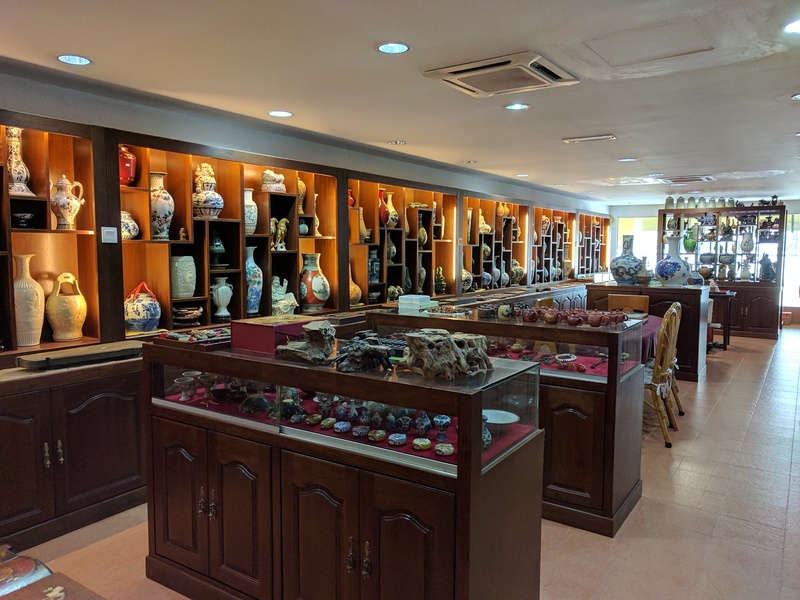 Keverne says that ‘Chinese taste’, the phrase associated with the Chinese domestic market that has come to mean Qing porcelain, white jades and Beijing enamels, is evolving. The taste of mainland Chinese buyers is changing, notes London Chinese art specialist Giuseppe Eskenazi. The dealer believes a generation of buyers – a second wave of collectors following the wake of those who entered the market a decade ago – is beginning to make its presence felt. It’s fair to say that Western gardeners don’t pay much attention to the humble chrysanthemum. In Chinese culture the plant has fared rather differently. Inspired by its ability to resist winter chills, Chinese emperors drank wines laced with chrysanthemum, poets praised what they called “the petals of longevity”, and the intricate forms of chrysanthemum flowers came to figure prominently in Chinese art. Symbolically the flower is associated with long life, good fortune and the season of autumn, so it’s appropriate that the most expensive piece in Adam’s first-ever specialist auction of Fine Oriental Ceramics, Sculpture and Art is a green “chrysanthemum dish” (Lot 74, €40,000-€60,000). Why such a high estimate for such a tiny dish? Chinese art auction giants are aiming at the duopoly of Sotheby’s and Christie’s, but it looks a long shot. State-backed behemoth Poly International and China Guardian, both Beijing-based, now dominate the $7.1 billion global market for Chinese art and antiques. Having crushed smaller local rivals, they are expanding abroad. But their parochial, state-protected nature hobbles them. The Western houses’ offshore share looks safe for now. The meteoric rise of Chinese auctioneers can be partly attributed to laws restricting foreigners from selling antiquities on the mainland – given a history of Western imperialists sneaking precious artefacts out of the country. That helped China’s Poly Auction, the world’s third largest auction company, rake in sales of $1.6 billion in 2017, according to a report by Art Basel and UBS; Guardian logged over $1 billion. Dominance at home freed Poly and Guardian to compete abroad. Guardian founder Chen Dongsheng, for example, took a near 14 percent stake in the Sotheby’s two years ago, becoming its largest shareholder. Poly has since set up shop in Sydney, Los Angeles, Tokyo and New York. Myth 1: The market for Chinese art is a juggernaut. Reality: Not exactly. The market is growing—but only at the very top end. On the surface, it all looks fairly robust. In 2017, auction sales of Chinese art and antiques reversed two years of decline—which had coincided with similar downturns around the world—and grew 7 percent year-on-year, to $7.1 billion, according to the latest Global Chinese Art Auction Market Report produced by artnet and the China Association of Auctioneers (CAA). Beneath the banner figures, however, there are signs that the recovery of Chinese art could be a bit of a dead cat bounce. First, the total is still down substantially from the market’s record high of more than $10 billion in 2011. Second, the numbers—as in the rest of the global art market—are considerably distorted by a thin top end. Myth 2: It’s only a matter of time before the art markets in Shanghai and Beijing catch up with Hong Kong. Reality: This is an extremely uphill battle—and one that few seem interested in waging. Despite their growing presence in Hong Kong, even the big guns from the West have had trouble going deeper into the market in China. Sotheby’s, which opened a joint venture in Beijing with the state-owned Gehua Art Company in 2012, hasn’t held an auction there since 2013. “We have a long way to go before making Beijing and Shanghai as competitive as Hong Kong,” Kevin Ching, the chief executive of Sotheby’s Asia, acknowledges. Christie’s presence is also limited. The auction house landed in Shanghai to much fanfare and ribbon cutting in 2013, but it now has just one dedicated week of sales and events each year, in September. Rebecca Wei, president of Christie’s Asia, emphasizes her auction house’s commitment to the country but defines its presence as mostly a brand-building exercise for now. Myth 3: China’s collectors default on art payments left and right. Reality: This isn’t the whole story. Some of these collectors are just trying to avoid ending up with a forgery. According to the most recent data, which CAA verified against tax filings, more than half of all money pledged at auction had not actually been paid nearly six months after the winning bids were placed. Analyzing data from 358 auction houses, the artnet and CAA report finds that 51 percent of the total value of sales on the mainland in 2017 had not been fully paid up by May 15, 2018, an increase from the already dismal 49 percent in 2016 and 41 percent the previous year. Of the 18 lots that sold for more than ¥100 million ($14.2 million), only two were paid for in full by this time. Nevertheless, research suggests that the growing problem may be more nuanced than it seems—and that the blame for nonpayment may not rest solely with the absentee buyers. Myth 4: Chinese collectors are primarily interested in Chinese art. “I would describe the market in China as stable for us, but Chinese buyers’ purchases of Western art have increased most significantly,” says Rebecca Wei. In the first half of 2018, 12 percent of total sales at Christie’s were made in Asia, while Asian buying as a whole accounted for 24 percent ($960 million) of worldwide sales for the same period. Of the money spent by the Asian buyers, Wei notes, 60 percent was for non-Asian pieces (including luxury items), up from 48 percent during the equivalent period last year. Myth 5: Western collectors are becoming increasingly interested in Chinese art. Reality: Sit back…this is going to take a while. Most Chinese artists—apart from a few high-profile contemporary practitioners—have experienced scant interest from Western collectors. And the mainland galleries that support and promote Chinese art have yet to make their presence felt much beyond Hong Kong. Luo Ying is a purist. The professor of traditional Chinese painting practises what she teaches: her classical ink landscape paintingsborrow techniques and styles of brushwork used as far back as the Song dynasty (960 – 1279AD). “Chinese ink painting is the quintessence of our nation’s heritage. It is a timeless, classical art form that we can proudly show off to the world. There is no need to adulterate it with contemporary elements,” says the 44-year-old Hangzhou native at her first exhibition in Hong Kong. Hong Kong (AFP) - A nearly 1000-year-old ink painting by one of China's greatest literati masters Su Shi is expected to fetch US$51 million at auction, Christie's said Thursday as the work went on view in Hong Kong. The Song Dynasty artwork created by Su is "one of the world's rarest Chinese paintings," said the auction house. Entitled "Wood and Rock," the ink-on-paper handscroll depicts a dragon-like old tree with withered branches and a sharp rock resting at its root. The versatile literati, also known as Su Dongpo is one of the most important cultural figures in Chinese history and was an esteemed scholar, poet, prose-writer, painter, calligrapher and statesman. The painting will be on view until September 1 and will go under the hammer on November 26 as part of Christie's Hong Kong Autumn Sale. Stone said the artwork is expected to attract interests from outside China. "It's an international masterpiece instead of just a Chinese masterpiece," he added. In 2010, "Dizhuming", a Chinese calligraphy scroll by Huang Tingjian -- Su Shi's student -- sold for $64 million at Poly Auction in Beijing. I must admit the eye-popping figure Christie's is expecting to fetch for Su Shi's Wood and Rock painting is hard to ignore. However, I find it extremely hard to ignore the fact that Su Shi's student's work managed to sell for a whooping $13million more than the estimated amount of Su Shi's painting! And mind you, that was 8 years ago. Maybe collecting an apprentice's work of art is not such a bad idea after all. The latest list of targeted Chinese goods ran to 205 pages. It included sand blasting machines; eels, fresh or chilled (excluding fillets); hats; and, at the bottom of the last page, paintings and drawings executed entirely by hand, original sculptures, and antiques more than 100 years old. The tariffs would apply to all artworks that originated in China, regardless of how they entered the United States. That means American buyers could be required to pay 25 percent more for a Ming dynasty bowl sold by a British owner at an auction in New York, as well as for a painting by a young Beijing-based artist at a gallery in Hong Kong. The announcement has caused outrage in the art world. James Lally, the founder of J.J. Lally & Co., a dealer based in New York that specializes in Asian art, said that the proposed tariffs were "a matter of great concern" to museums, collectors, curators and dealers worldwide. Sotheby's, Christie's and the Asia Week New York association of dealers said in a written complaint that the United States, not China, would be affected most. In recent years, as prices for the best Qing porcelain has spiralled, buyers have shown more tolerance towards damaged pieces. A similar 13in (32cm) vase from the preceding Qianlong period (1735-96) in broken condition ‘sold’ at Eastbourne Auctions earlier this year for £70,000 against a £100 estimate. After the buyer failed to pay, it was reoffered on June 8 with bidders asked to provide a deposit of £5000. It sold this time at £53,000 (plus 24% buyer’s premium).